Page from Karl Höcker's album, with the caption "Yuletime, 1944." 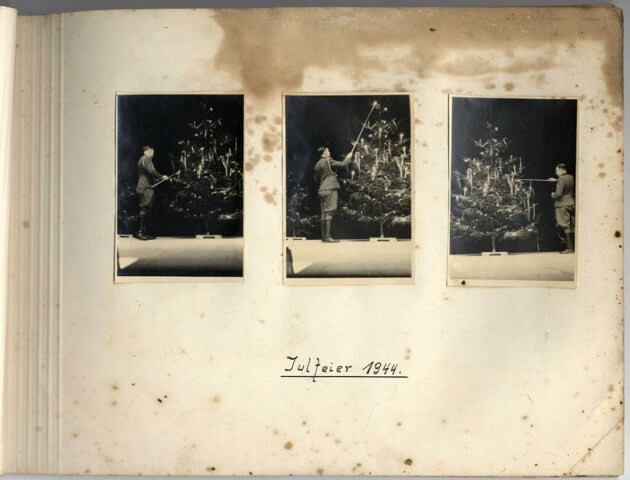 The photographs show Karl Höcker lighting the candles on the Yule tree. 1944.